Just ahead of Holocaust Memorial Day 2017, I have discovered the work of Felix Nussbaum, a German-Jewish painter who was murdered in Auschwitz in 1944, aged 40 (all of his family were killed in the Holocaust). Born in Osnabruck, he moved to Belgium after the Nazis took power, but was arrested there when Belgium was occupied. He was sent to the internment camp at Saint Cyprien (in the Pyrenees) and was imprisoned there. In August/September he succeeded in escaping and returned to Brussels where he went into hiding with his wife Felka Platek. His work during this period is characterised firstly by the number of domestic scenes and still lifes, reflecting the limited scope he had for direct observation, and secondly more surrealistic and allegorical works reflecting the fear with which he lived. The subjects of war and exile, of fear and sorrow coloured his pictures. Nussbaum developed an allegorical and metaphorical language so as to create artistic ways of expressing the existential threat to his situation and to his very life that he was experiencing. His last piece of work is dated 18 April 1944. A matter of weeks later on 20 June, Felix Nussbaum and his wife, Felka Platek, were arrested in their attic hide-out and were sent with the last transport from the collection camp at Malines (Mechelen) on 31 July to the concentration camp of Auschwitz. What makes someone give a damn when it’s not their turn to give a damn? Giving a damn when it’s not their job, or when it’s a stranger who needs help rather than a friend or a neighbour, someone to whom they owe nothing? The website of Yad Vashem includes the names and many stories of those who have been designated ‘Righteous amongst the Nations’. These are people who sheltered Jews or helped them to escape during the Holocaust, often taking huge risks themselves to do so. Most rescuers started off as bystanders. In many cases this happened when they were confronted with the deportation or the killing of the Jews. Some had stood by in the early stages of persecution … but there was a point when they decided to act, a boundary they were not willing to cross. Importantly, these are the people we know about. We know what they did because the people they helped to save told their stories. But there were many, many more whose stories have not been told. Many of those who survived the Holocaust have never talked about what they experienced, and those who were children at the time may not have known who did what, who took what risks to keep them safe. The rescuers themselves have often been silent about what they did – in parts of Eastern Europe it was hardly wise to make a noise about it after the war, and others were too modest to promote themselves as heroes. It is also worth noting that some of those who chose not to stand by were themselves murdered, and some had to endure the knowledge of the fate that befell those who they had tried to save – in either case it is likely that their acts are and will remain unknown. Nicholas Winton did not, as is sometimes reported, keep entirely silent about his work in organising transports of children out of Czechoslovakia, but he certainly wasn’t well-known for it, and it took a television programme in 1988 to bring it to worldwide attention. He is not recorded amongst the Righteous – but only because he himself was of partly Jewish ancestry. He was scrupulous in recognising that the achievement was not his alone, and his reticence may also have in part been prompted by the painful knowledge that many more children could have been saved, had the US and other nations been willing to take more of them in. As the number of survivors dwindles year on year, we may never know how many more of the Righteous there were. In Poland, the epicentre of the Holocaust, over 6,500 people are recorded on Yad Vashem’s database. This is the largest number for any of the countries listed – all the more remarkable since in Poland alone the act of saving or trying to save a Jew was punishable by death for the rescuer and their family. I realised that not only did I have a unique tale to tell, but that as an only child I was the sole keeper. My knowledge, however, was incomplete. I needed to find the missing parts of the jigsaw puzzle to verify the facts that I had, and to learn more about the bigger picture. All I had to go on were my memories of conversations, several boxes of documents, a handful of photographs and medals, a bookshelf of books about Poland, a few contacts, and three precious tapes recorded for me by my father, which told some, but not all, of the story. What these fragments show is that Stefan’s third wife, Anna, was Jewish and that she and her daughter were kept safe during the occupation of Warsaw, living under a false identity. In addition, there are records which state that ‘he organised safe houses or accommodation for people who were hiding along with the fabrication of identity papers, and also hid resistance literature and medical supplies.’ But there’s no hard evidence – just handwritten testimonies, and the recollections of Witold, Stefan’s son. Witold himself went into the Ghetto before its destruction, smuggling messages to the Jewish Council, and did what he could to help his stepmother’s family. Both the necessary habit of secrecy about such activities, and the level of destruction in Warsaw make it very difficult to find out more, or to know with certainty what happened. The efforts of a second or third generation now are to gather the fragments that do exist, and build as much of a story as possible. However incomplete, however many question marks remain, these stories are vital and compelling, and a reminder that the worst of times can bring out the best in people as well as the worst. In Rwanda, the speed and intensity of the genocide meant that the kind of acts commemorated at Yad Vashem are even less likely to be recorded, and the narratives may be disputed. We have the account of Carl Wilkens, the only American who stayed in Rwanda, against all advice, and did what he could to protect the lives of Tutsi friends, and by talking his way through roadblocks and negotiating with senior army figures (people who were heavily implicated or actively involved in orchestrating the genocide) to get supplies through and then to arrange the safety of the children in an orphanage. Of course, the story of Rwanda is the story of a world of bystanders, and those who did stay, and did what they could, are haunted, tormented by the lives they couldn’t save and the knowledge that had the US and other nations responded to the warnings and the increasingly desperate pleas from those who were witnessing the slaughter, so many more lives could have been saved. Whilst the targets of the killing were clearly Tutsi and Hutus suspected of helping them, the murder of Belgian peacekeepers early in the genocide meant that Wilkens and others could not be certain that they would be safe, and as the militia at the roadblocks were frequently drunk and out of control, there is no doubt that they took huge risks. Hutu Rwandans who hid friends, neighbours and colleagues rather than joining in the killing, or handing them over to the mobs, were however taking much greater risks, and if discovered they were certainly killed. The ending of the film Shooting Dogs has always bothered me. The film shows a young Briton who was evacuated on a UN transport, leaving around 2,000 Tutsi in the compound of the Ecole Technique Officiel in Kigali, surrounded by Interahamwe militia, almost all of whom were killed as soon as the UN trucks left. In the final scenes, he is asked by a survivor why he left and he says that he left because he was afraid to die. This is disingenuous (and not challenged by the film) – everyone in that compound was afraid to die. He left because he could. Wilkens’ fellow Americans, and the majority of the Europeans in Rwanda when the genocide began, left because they could. They had a choice, and – for reasons that any of us can understand – they chose to take the escape route offered to them. Reading these stories, most of us will ask ourselves, would I have left when I could? Would I have stayed and tried to help? If I’d lived in Occupied Paris, or Warsaw, would I have kept my head down, or tried to help? If you were a gendarme, or a civil servant, or even a Wehrmacht officer, you could do your job, as defined by the occupying forces, and compile lists of Jews to be rounded up, or round them up and transport them to transit camps, and then on to cattle trucks, or carry out the murders yourself. Or you could use that position to get a warning out about an impending round-up, or produce false papers to enable Jews to escape, or take direct action to get people to safety. It came down, as it always does, to individuals, to their ability to empathise, to see not the vilified ‘Other’ but someone like themselves, and to their sense of what is fair and right. Fear can overwhelm both, but somehow, wherever and whenever the forces of hatred are unleashed, there will be some who will refuse to stand by. Think of Lassana Bathily, a Malian Muslim who worked in the kosher supermarket in Paris which was attacked after the Charlie Hebdo massacre. He took some of the customers to the cold store to hide, whilst the killers shot and killed Jewish customers in the shop. Think of Salah Farah. When al-Shabab attacked the bus he was travelling on in Mandera in Kenya, the attackers tried to separate Muslims and Christians. Passengers were offered safety if they identified themselves as Muslim. The response from many was to ask the attackers to kill all of them or leave all of them alone. Muslim women on the bus gave Christian women scarves to use as hijabs. Farah was one of those who refused the offer of safety, and he was shot. He died in hospital almost a month after the attack. There are always some who refuse to stand by. Grainy, blurry black and white footage, shot by soldiers newly equipped with cameras and told to record everything they see. Long, panning shots, taking in the corpses, barely recognisable as human, in the ditch, and the dignitaries on the bank, impassive. Negative footage from Dachau turning the unimaginable into something even further beyond our reach. All of this went into the documentary, German Concentration Camps Factual Survey, made by Sidney Bernstein in the immediate aftermath of the liberation of the camps by Allied troops (and using some of the footage from Russian units at Majdanek and Auschwitz). The title tells us a great deal about why this film was made, its purpose to give us irrefutable evidence of what happened, anticipating both the denials of the German population, including the camps’ near neighbours, and the denials of subsequent generations. The original film has languished in the archives since it was completed. The mood changed so quickly – if Bernstein had completed his work just a little earlier, then maybe it would have had the audiences it was intended for, and deserved. But by the time this huge task was done the need to confront the German people with the actions of their leaders, the need to tell the world what could happen when a civilised nation abandoned civilisation, were seen not only as less pressing, but as potentially counter-productive. 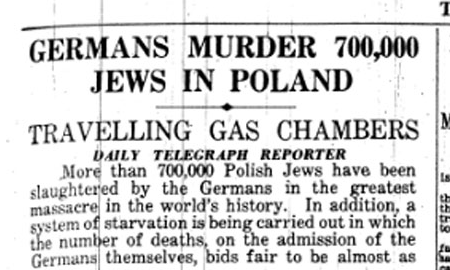 Not only did we need the Germans as our allies against the strength of the Soviet Union, but we did not want public sympathy for the Jews to force our hand in terms of giving sanctuary to large numbers of refugees. Bernstein and his collaborators wanted to take a stand against those who would deny or minimise the genocide. What they had recorded was almost impossible to comprehend, and so easy to disbelieve. There had been reports of the process of extermination of the Jews in occupied Europe, as early as 1942. Szmul Zygielbojm, Jan Karski and others risked so much to tell the Allies what was happening. But somehow, even when published in the Daily Telegraph (25 June 1942), people seemed not to grasp it. Was this failure to respond down to prejudice, or simply that the facts were unbelievable and so people chose not to believe? To look away and hope that when they looked back, the nightmare vision would have vanished? At the end of the war, again, the news from the Russian troops who were liberating the extermination camps in the East was treated with scepticism, until the Allied troops entered the German concentration camps themselves and knew. If it was only human to baulk at that reality, to not want to accept that other humans could do this, not just a handful of monsters but many, many people, the revisionists who came later were of a different stripe, and unperturbed by personal testimony, documentary footage or other evidence. Somehow they manage to say both that Hitler did not plan and order genocide of the Jews and that the Jews deserved their treatment, brought it, indeed, upon themselves. They both immerse themselves in technical details to ‘prove’ that what was described and shown could not have happened, and dismiss or treat as mendacious all evidence that it did. Bernstein’s film would probably not have changed the minds of any of those – nothing else has. The documentary, a unique record not only of the scenes from hell that the liberating troops encountered, but of the efforts thereafter to help and to heal, will only ever be seen by small numbers. The Imperial War Museum believes that its images, without the contextual commentary and interviews provided by Night will Fall, are too stark in their portrayal of the dehumanised state not only of the dead but of the (barely) living. This baffles me, particularly because the film does also show the liberated prisoners talking animatedly to their saviours, being treated for disease, trying on clothes and shoes. It shows them, in other words, taking on their humanity again. As if it had never been stolen from them entirely, merely put to one side as hindrance rather than help in that brutal world. And of course, it is not as if we cannot see, if we choose, such images on YouTube or in other documentaries, often using this very footage. Or believing from time to time. As though the monster were dead and buried beneath them. As though there were a cure for the scourge of these camps. At a certain time and in a certain place. Deaf to the endless cry. Bernstein’s documentary ends with the words: “Unless the world learns the lessons these pictures teach, night will fall. But, by God’s grace, we who live will learn.” We haven’t. And night has fallen for so many. It’s to be hoped that the film will have the wider audience it deserved and still deserves today. The lesson still needs to be taught and we have to hope it’s not too late to learn. The young woman who wrote these words was seventeen. So it would be easy to read their intensity as being a teenage thing, a bit over dramatic. But this was December 1941, in Czernowitz, now in the Ukraine. 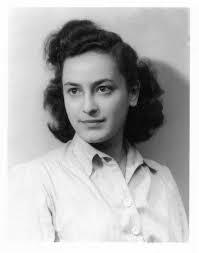 Selma Meerbaum-Eisinger was writing for her boyfriend, Leiser Fichman, who had been taken to a forced labour camp. Three months after she wrote this poem, she was interned with her parents in the ghetto and then deported to Transnistria and forced on an exhausting march to the Michailowka labour camp, where Selma died of typhus on 16 December 1942. Leiser kept the poems with him, and then sent them to Selma’s friend Else in 1944. He died when the clandestine immigrant vessel he had boarded, heading for Israel, sank in the Black Sea – he never knew that Selma had died. Those words – to fade into nothingness like smoke – take on a terrible symbolism in the post-Auschwitz world. And of course, they describe very well the intent. Not enough to drive the undesirables from your territory, not enough to render them powerless and penniless. The last traces of them have to be eradicated, it has to become as if they never were. As the last survivors of the Nazi holocaust leave us, the need to keep their memory alive becomes ever more pressing, and the difficulty of doing so ever greater. The machine that devoured so many left such chaos behind that there are those whose fate will never be definitively known, and where whole families perished there was perhaps no one to remember. Whilst there was a flurry of survivor memoirs immediately after the end of the war, there was then a reaction against it, born from the overwhelming desire to forget, to say, ‘that was a nightmare, but we’ve woken up now and everything is back to normal’, but also from fear. For many who survived, there was a strong instinct, reinforced in some cases by advice by Jewish organisations, to keep a low profile, to do nothing to reawaken the hatred. And the trauma of what they had seen and experienced left many unable to speak, ever, or for many years. But, as Walter Benjamin said, to live means to leave traces. Selma’s poems, Hélène Berr’s journal, Gideon Klein’s chamber music, the children’s paintings from Terezin – all of these speak to us down the decades, and deny the Nazis their ultimate goal. And more and more, those ordinary people, who kept no journals, who composed no sonatas, who wrote no poetry, are being given back their names. 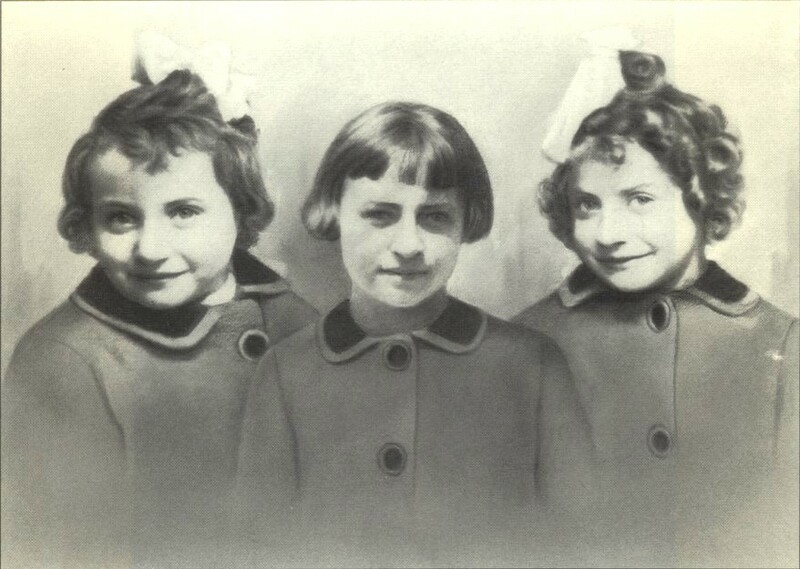 These three sisters were all deported from Paris in August 1942. 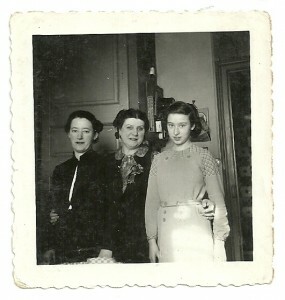 The oldest sister, Esther Adamowicz, was born in Poland, her younger sisters, Myriam and Sarah-Cécile, in Paris. They lived at 46 rue Notre-Dame de Nazareth in Paris (3rd arr. ).They were 12, 6 and 4 respectively when they were killed. 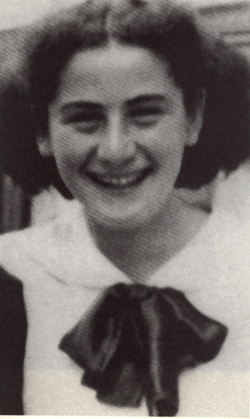 The Jewish Traces project, Plus qu’un nom dans une liste, tells us of Marianne Epstein, a little younger than Selma, whose family fled Germany after Kristallnacht, initially for the Netherlands and then for France. After the fall of France they headed south, and settled in St Léonard de Noblat in the Haute Vienne department, until they were rounded up with thousands of other foreign Jews in August 1942. 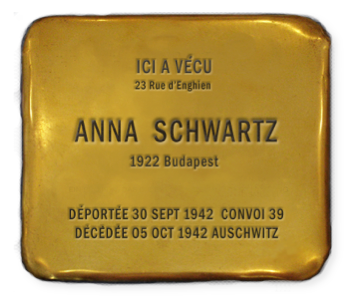 They were taken to Nexon, then to Drancy, and from there to Auschwitz. The Solpersteine project (literally, ‘stumbling stones’), is commemorating Holocaust victims with the installation of a brass plaque in the pavement, in front of their last home. Artist Gunter Demnig has now placed such stones in over 610 locations in Germany, and in many other countries occupied by the Nazis. He quotes the Talmud: “a person is only forgotten when his or her name is forgotten” and so the stones each tell us of one name, one person, beginning with ‘Here lived…’. These projects are not just about saying ‘Never again’. They are about keeping the memories alive. We may not have known Selma, or Marianne, Anna, Helene or Esther. We know their names, where they lived, and so we can piece together something of their story. We may know what they looked like, we may hear their voices through their words, treasured by friends or family and shared with the world. Just ponder on this for a moment. These small children had already known fear and abandonment. And on their last journey they had no one with them who knew their name. We can hope there was someone to hold their hand, to cuddle them, to sing to them. But they had no one who knew their name. Ponder on this too. Human beings, like us, took them from their homes, separated them from their parents and older siblings, pushed them into the railway trucks. And then, perhaps, went home to their own children, bathed them and told them a story, tucked them into bed, kissed them on the forehead and said goodnight. Genocide doesn’t start with killing. It starts by taking away the things that make you who you are, and reducing you to Jew, Tutsi, Moslem, Igbo. It tells everyone you lived next door to, went to school with, worked for or with, that Jew/Tutsi/Moslem/Igbo is less than they are, not just inferior but dangerous. And when you’re isolated, displaced and friendless, then you can be eradicated, no trace left behind. It’s up to us to find the traces. To remember the people we never knew, to ensure that they do not ‘fade into nothingness like smoke’.